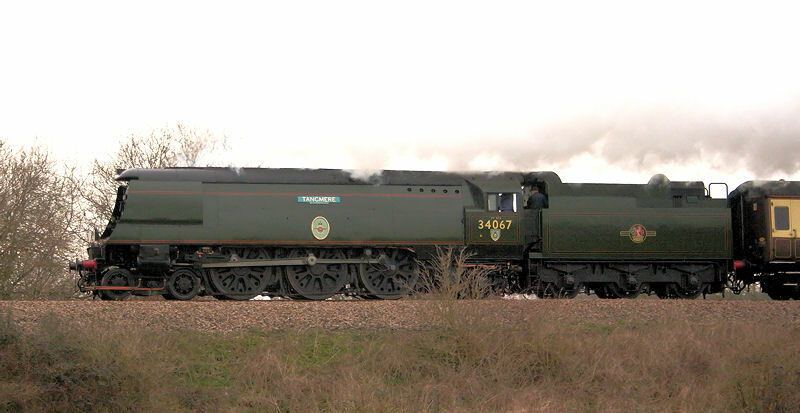 Battle of Britain class locomotive No. 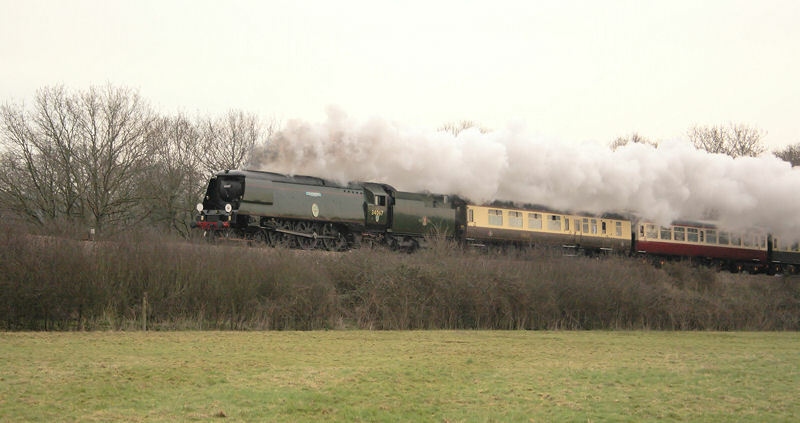 34067 'Tangmere' working at speed on the Hampshire/Wiltshire line between Dunbridge and Dean: seen here passing Lockerley at the head of an East Croydon to Bristol working - Saturday 17th February 2007 . 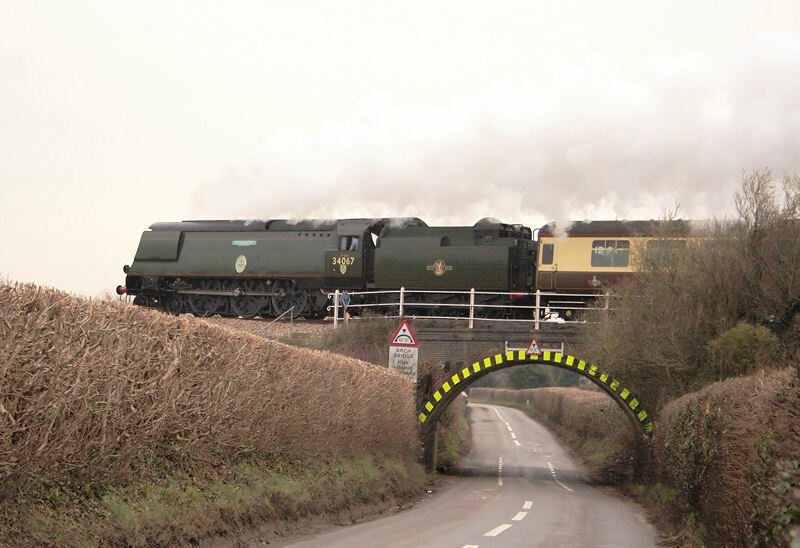 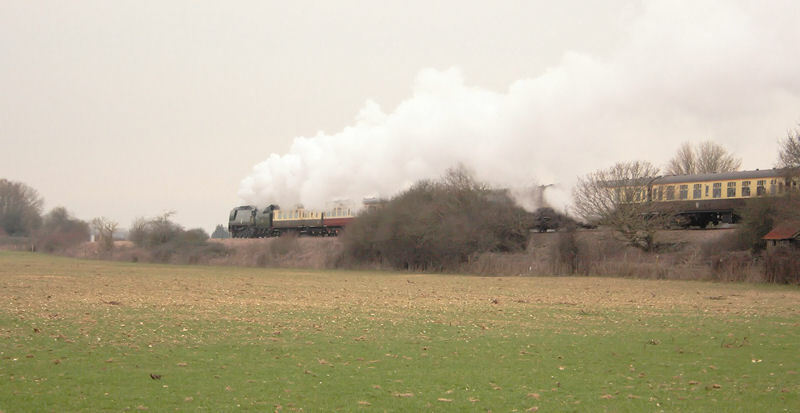 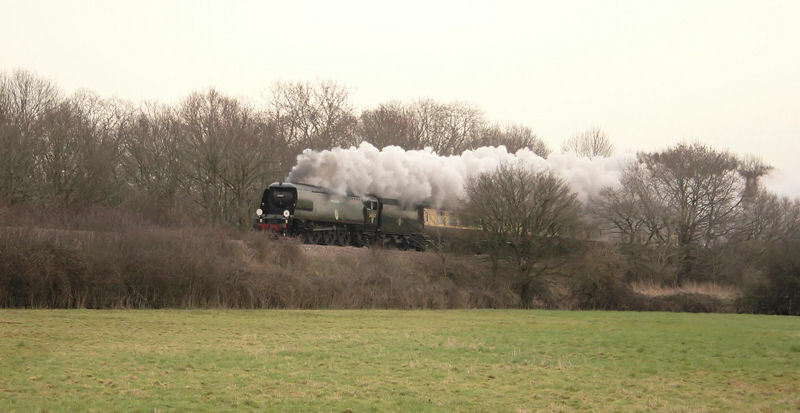 34067 approaches, passes over the Romsey Road and then hurries away towards Dean and Salisbury.